Want Free Access to Nick Jonas Pics & Clips? He's most often associated with his sibs Kevin and Joe Jonas, but before the Jonas Brothers, Nick Jonas was on the fast track to a solo singing career. Born in Wyckoff, New Jersey on September 16, 1992, Nick made his Broadway debut at the age of 7 and was performing in Beauty and the Beast on Broadway when he released his first solo single, "Joy to the World (A Christmas Prayer)" in 2002. The song became a hit on Christian radio, and a solo album, Nicholas Jonas, was planned, but eventually the brothers came together to form the mega-boy band we all know and are obsessed with instead. There's more Jonas history than we can get into here, but now that the band's on what looks like permanent hiatus, Nick's been doing some acting work. 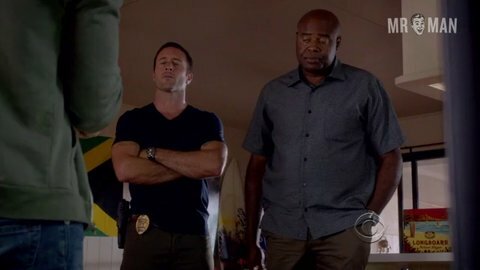 Besides starring in the thriller Careful What You Wish For (2014), Nick made an appearance as a computer hacker on Hawaii 5-0 in 2013, a role that co-SKIN-cindentally featured both his sculpted chest and a hint of heinie as he crouched down in loose-fitting pants. But his biggest break on the small screen came playing a hopeful MMA fighter on the hit series Kingdom. The Jonas Brothers may be no more, but Nick still knows how to drive the girls (and boys!) wild.